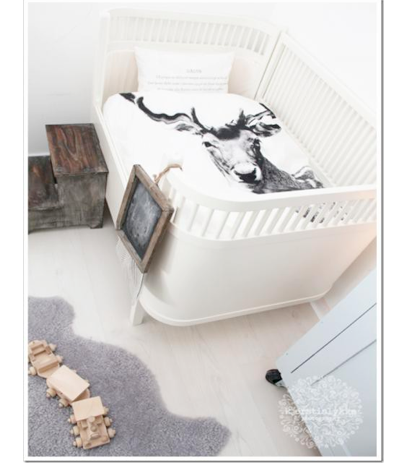 This week we will explore one of my design obsessions...baby nurseries! It is the most exciting room of all to design. This is the place to welcome the wee little one home. So it should reflect your design sensibilities, budget, and sense of adventure. Nursery design gives dad a chance to try out his painting skills before learning the knack of diapering, and for the expectant mommy-to-be? Its a tangible act; proof that she will at long last, meet her dear little one soon..the same sweet little cherub who gave her heartburn at five months, kicked her incessantly at six months... well, you get the idea! All that is forgiven and forgotten (as it should be!) the moment new mommy sees her blessed bundle of of joy. As a mom of four, I remember the pleasure of designing each of my son's and daughter's nurseries and the growing anticipation and excitement to meet them each. My oh my has nursery design changed! Its more subtle and sophisticated with garish Winnie the Pooh decals banished from sight (as they should be!) Yet, a vintage vibe persists in many designs combined with modern elements to create a perfect eclectic space for baby's design taste to be nurtured. 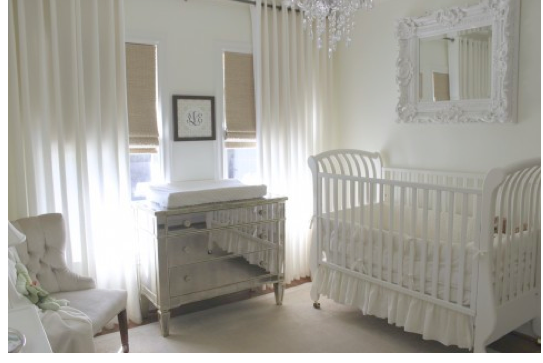 Today, lets look at neutral nurseries in shades of white. From traditional to contemporary in design, I hope you love them all! So sweet! This is girly and frilly without a hint of pink anywhere! 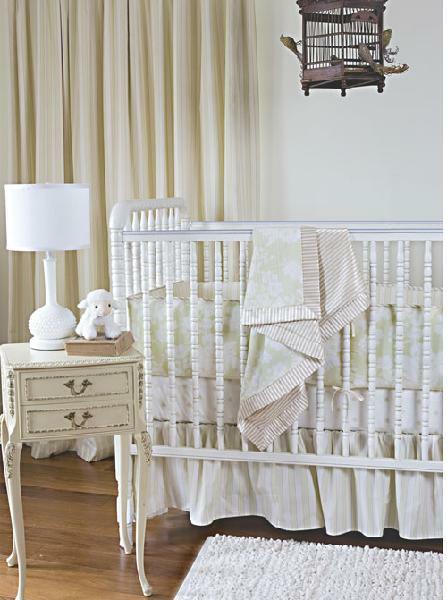 This is the LBD of the new nursery style: sophisticated and stylish in innocent snowy white. Fabulous! I love the oh-so-glamorous mirrored dressing table! Very sweet for a lucky little girl! How sweet for a baby girl -- rosebuds and dragonflies! 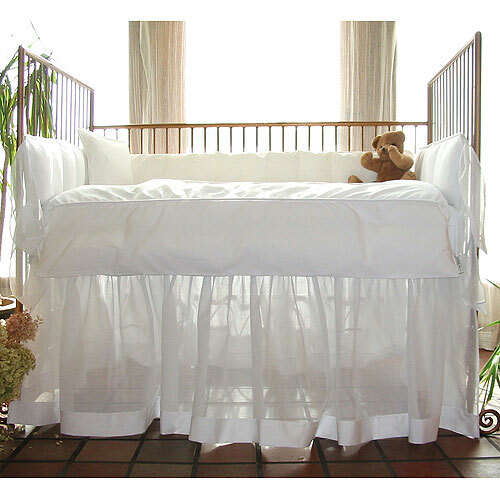 Love those sheers on the crib! Love that fabulous baroque style mirror juxtaposed against the lines of the contemporary crib. Imagine the peek-a-boo games baby will play! Oh la la! A French table topped with a modern lamp combined with a traditional Jenny Lind crib and a retro chenille rug -- how sweet! That sheer dust ruffle is just so pretty! This sitting area is white on white at its best! Each tone works and the different textures and shapes provide graphic interest. I love the casual and unique treatment of the drapes! This design includes the newest nursery must-have-- the pouf! What a comfy spot to rock the baby! Tomorrow, nurseries with just a pop of super fun, funky color!